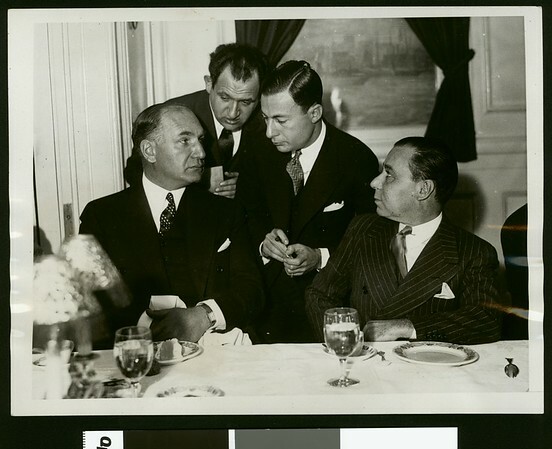 Eugene Zukor, of Paramount Publix, and A.C. Blumental, owner of a chain of theatres in England. | PS-12-4-30" -- typed note attached to verso. "Received. Examiner reference library. Dec 9, 1930" -- stamped on verso.